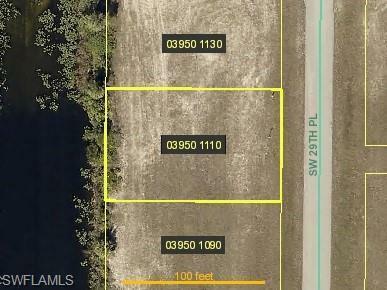 Freshwater canal lot with western exposure to savor Florida sunsets all year long. Build your dream home and enjoy leisure boating and fishing right from your own backyard thru the Crete Canal, Shadroe Canal to Valmora Lake. Invest in the future now. Listing courtesy of Kerry Thorpe of Cape Shore Realty Inc..